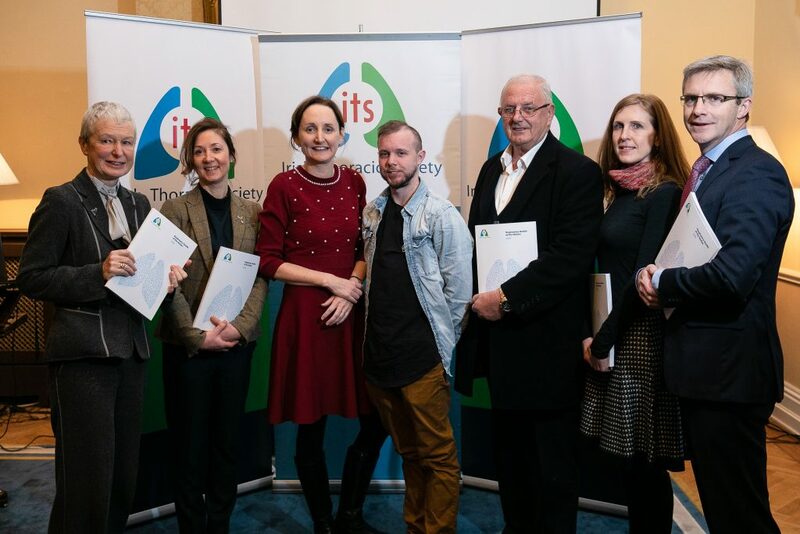 THE IRISH THORACIC SOCIETY IS TODAY CALLING FOR THE ESTABLISHMENT OF A NATIONAL RESPIRATORY TASKFORCE TO ADDRESS THE RISING TIDE OF RESPIRATORY DISEASE IN IRELAND. The call came at the launch of a major new report on the burden of respiratory disease on Ireland’s population.Respiratory Health of the Nation 2018 provides an overview of the impact of respiratory disease in the country as well as information on 11 common respiratory conditions and their impact on two key population groups – children and older people. The report draws information from a range of sources and provides the most accurate and comprehensive picture to date of our nation’s respiratory health. “This report shines a light on the immense burden of respiratory disease in Ireland, showing it to be one of our most critical health challenges, reflected in the almost 15% increase in respiratory deaths between 2007 and 2016. “Respiratory diseases make up three of the top six causes of death in Ireland, with the big three being lung cancer, COPD and pneumonia. Death is only the tip of the iceberg of the burden of disease on individuals, families and the health services. While smoking is a key risk factor for many respiratory diseases, we are also seeing the influence of other social and environmental factors on respiratory health. “What is clear from this report is the increasing strain of lung disease on our health services due to our growing and ageing population. “It is important to acknowledge that there have been significant improvements in respiratory care in Ireland in recent years. However, important challenges remain. There are too few respiratory specialists, in particular consultants, the numbers of which lag well behind other EU countries, but also nurses, physiotherapists, physiologists and other allied healthcare professionals. In addition, access to elements of good quality care such as pulmonary rehabilitation is severely limited. We also need to meet the challenge of providing integrated care for conditions such as COPD with a properly-resourced primary care community. The Irish Thoracic Society gratefully acknowledges GSK for an unconditional grant towards the publication and dissemination of Respiratory Health of the Nation 2018.